As bummed as I was to say goodbye to my family after our amazing Italy trip, I was thankful I had the opportunity to spend the long weekend with my lover in Rome :) My family left on Friday, and the following Monday was a bank holiday, which meant that when Kai flew in on Thursday night, we could spend four whole days together exploring one of my new favorite cities. 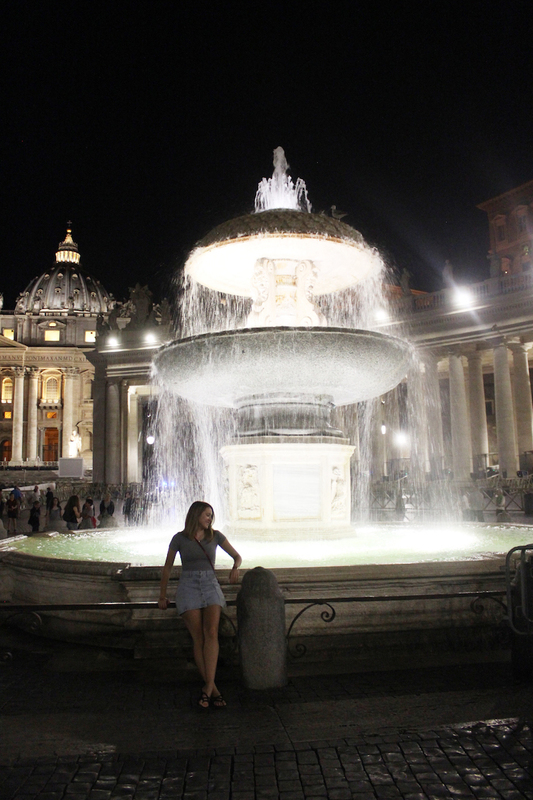 Kai and I have never really been on a trip together for more than 4 nights, so I really savor these mini excursions we have together :) I spent a lot of time in my last post talking about Rome’s cultural sights, as I ticked most of the main tourist attractions off the list with my family. My time with Kai was a lot different – we didn’t buy tickets or stand in any lines, rather we walked around the city, hand in hand, eating ice cream and getting lost. 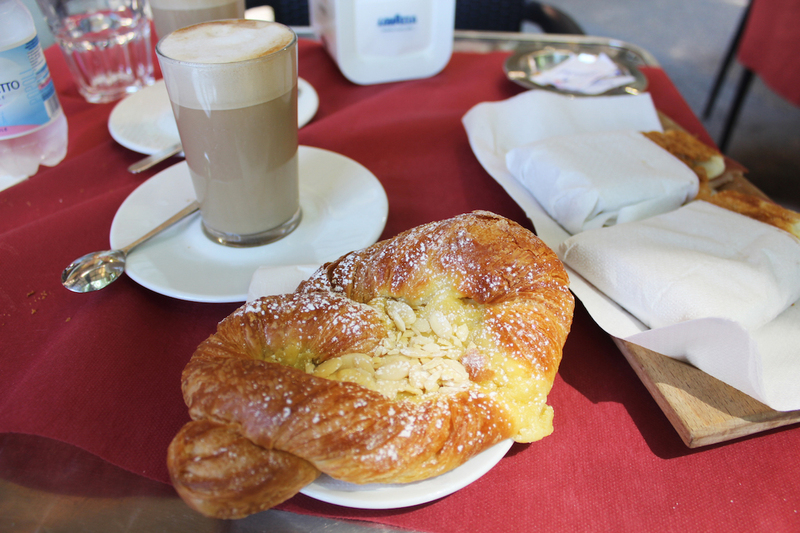 We walked down small side streets that beckoned to us, and stopped for croissants and coffee when we pleased. We drank cocktails on rooftops, and rented a little buggy to pedal around in the park. That weekend in Rome was HOT (mid 80’s) so on one day we said addio to the hot streets of Rome and hit up a pool in paradise. I didn’t take as many photos, I didn’t really document the restaurants or shops we stopped at, and we spent a lot of time just enjoying each other’s company. 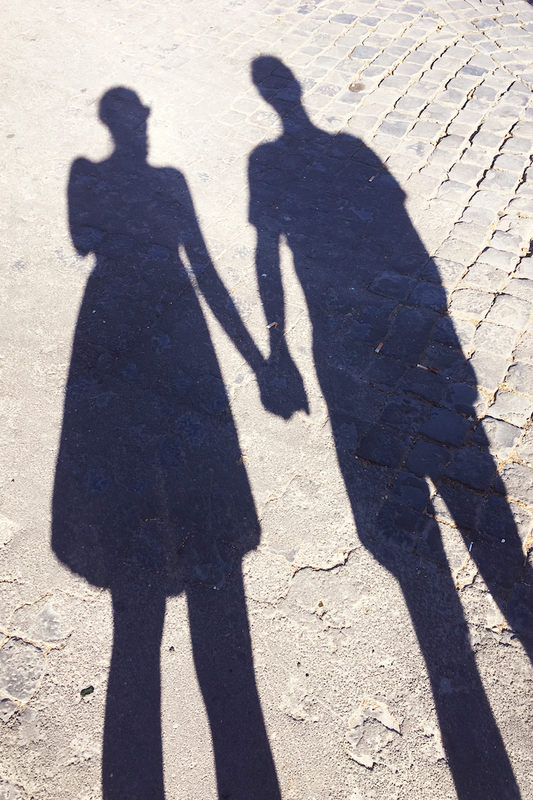 It was truly a romantic dream weekend in Italy, and I had the best time. 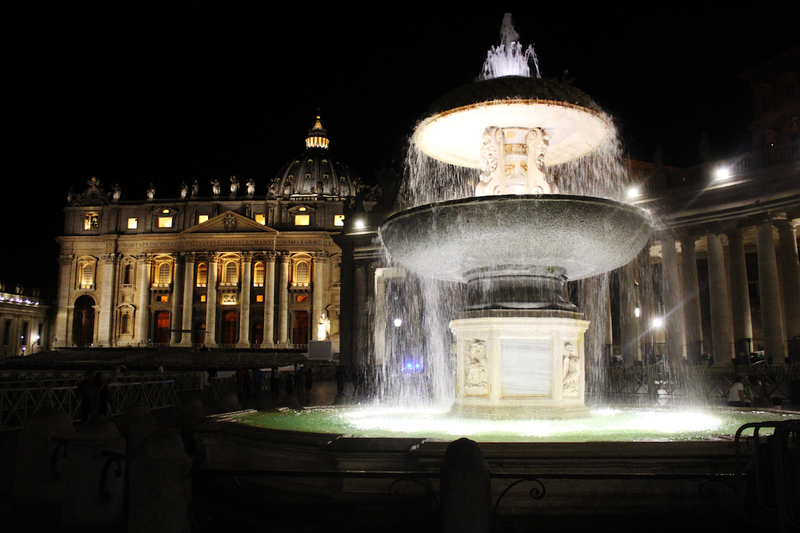 Here are a few photos we did manage to snap over the long weekend :) As I mentioned, my time in Italy with my family was amazing, but the night Kai flew in everything suddenly seemed a thousand times more romantic. 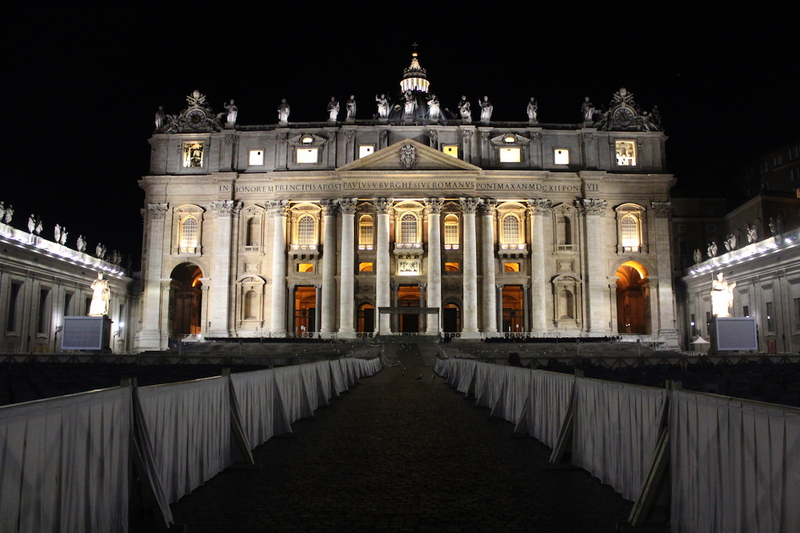 Even the Vatican, which had been packed and stressful during the day, was mostly empty but possibly even more beautiful at night. We walked through so Kai could see the tiny country, but after that our weekend was spent far away from cultural attractions. I need to give a huge shout out to our hotel, Hotel Londra & Cargill, in this post. 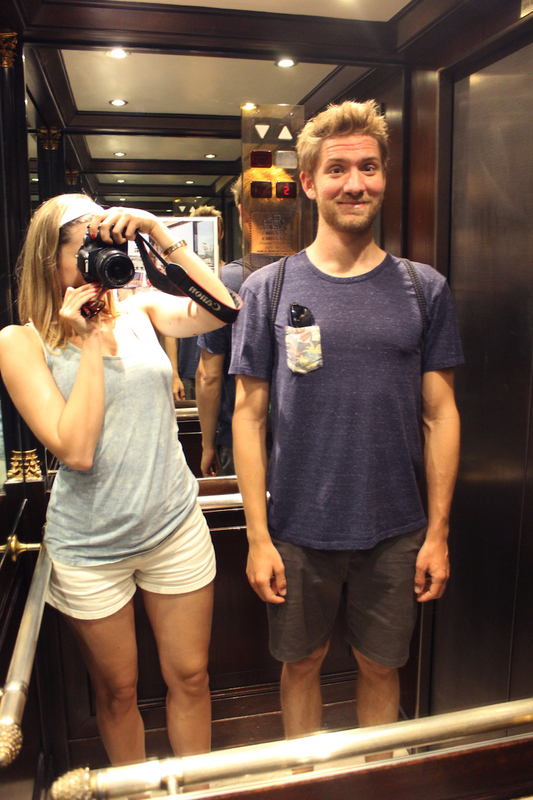 We had to check out of our Airbnb quite early, and so we walked over to our hotel around 10am to see if we could at least store our bags for the day while we explored the city. The man at the front desk gave us a warm welcome, and to our surprise, offered us the best room at the hotel as we were the first ones to arrive that day! What a total change from the typical service we were used to in NYC or even Amsterdam. Within 5 minutes we had our room keys and were dropping our bags in a beautiful room with a charming private balcony. 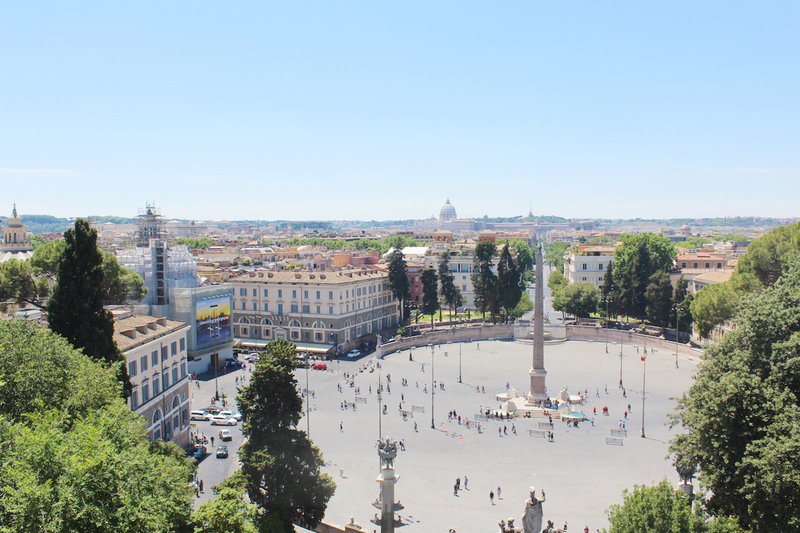 We were so delighted with the service and our room, and would recommend Hotel Londra & Cargill to anyone planning a trip to Rome :) As darling as our hotel room was, we didn’t spend long there as we were keen to maximize our sun time! 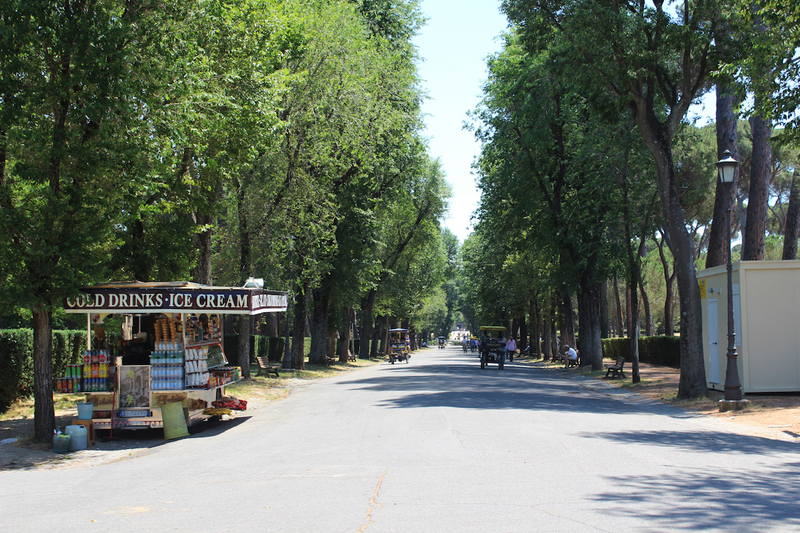 We had breakfast at a sweet little cafe along our stroll, and then wandered into a Villa Borghese, one of Rome’s many green parks, for some shade. 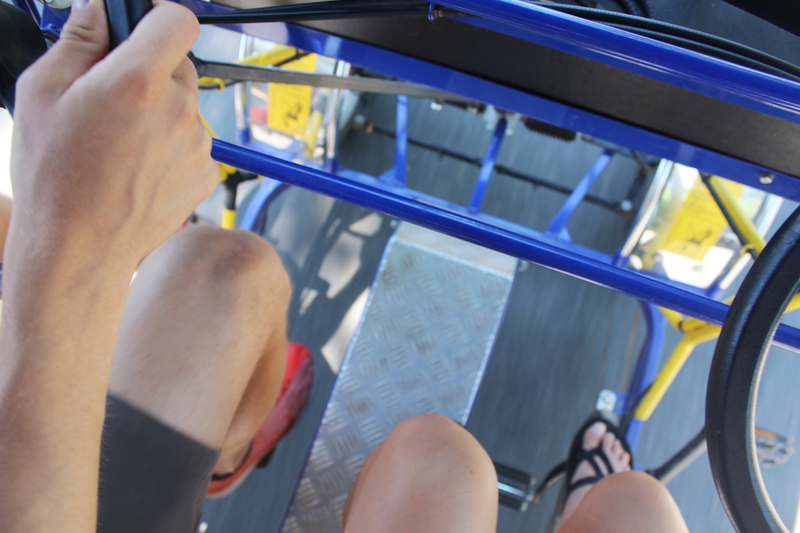 We noticed that a lot of people in the park were driving around on two person tuk-tuks, so we walked through the park until we found the rental stall and took out our own Italian ride out for the next two hours. We peddled through the park, which was awesome, as the area was very expansive and incredibly beautiful, so we got an opportunity to see it all! After our tuk-tuk park adventure, we headed to a rooftop bar that had been recommended to Kai for great drinks and awesome views. This seagull kept us throughly entertained, as every time a group left, he would sweep in before the waitress to scoop up any leftovers! We did however manage to keep him away from our snacks, which was good news, because we were starting to get pretty hungry and we wanted the bounty all to ourselves ;) After a few beverages in the sun, we were starting to feel a bit burnt and lethargic, so we followed random shaded streets, winding up back at the Trevi Fountain – which was great as it was by far my favorite landmark from the day before, and I am glad Kai got to see it too :) We found a little cafe in the sun for lunch, and both ordered salads, as we knew our evening meal had lots of pasta in store! I didn’t take my camera to our meal out that night, but in hindsight I wish I had as Kai surprised me to dinner at a restaurant with live Italian music! We sat on the restaurant’s outside terrace as the sun set, drinking white wine and eating pasta, listening to live Italian tunes float through the air. The next morning, Kai let me sleep in a bit, and when I woke up, I found him meditating on the balcony! I thought this was a super cute pic, so I snapped it in the moment, and I am glad I did because it reminds me of the cozy little hotel life we created that long weekend in Italy. Thankfully our hotel had AC, because in the night, the weather had turned ultra sticky and hot. And so instead of wandering through Rome that day, we decided to park ourselves at a pool. 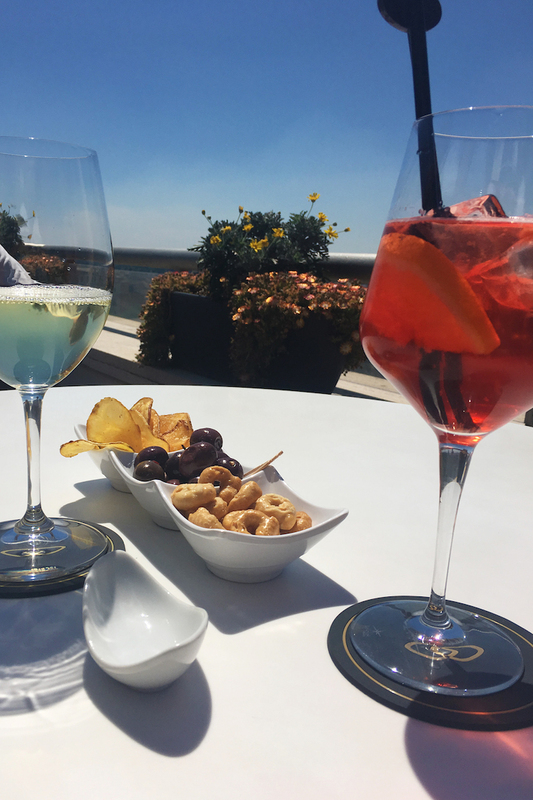 As much as we loved our hotel, they didn’t have any swimming facilities, so we walked over to Grand Hotel del Gianicolo to make use of their sun chairs and pool. As it just so happened to be a Saturday, we had to pay €35 to get in (normally it’s €25 on week days). That said, it was worth the money as towels, sun beds, pool toys, and use of the pool were included. And so we spent the whole afternoon reading, sun bathing, and floating in paradise! From here my photos get even more sparse, as it was so hot and sticky, I didn’t want to carry my camera around over the next two days. Plus, sometimes a romantic trip deserves some hang-time sans technology. 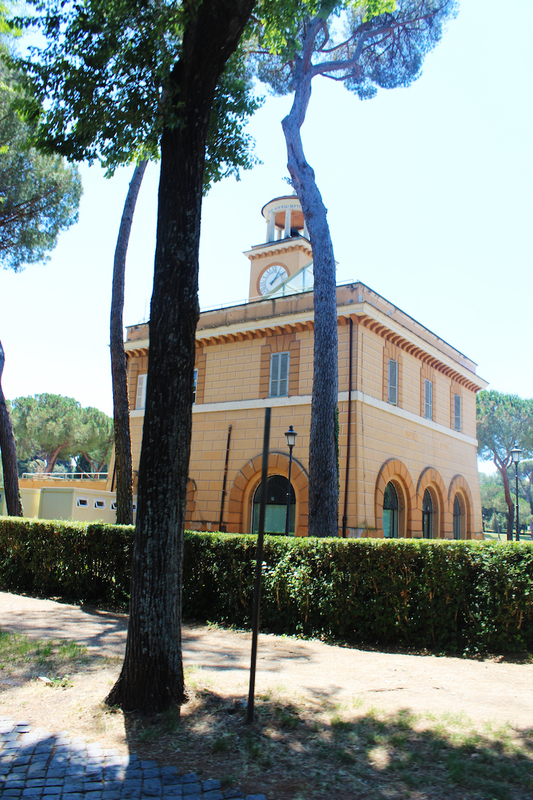 But believe me, there was more of the same – strolling, drinking, ice cream, trying to keep cool, and lots of relaxation :) This was the only photo (below) we managed to snap together on the trip (thanks to my camera’s auto timer and a handy car parked nearby). As we were posing for the photo, a little Italian man walked by and started cracking up, which in turn made us giggle, so we’re genuinely laughing and smiling in these photos which just makes them the best :) On our last day in Rome, I believe we had gelato three (!!!) times. There were so many ice cream shops we wanted to try, even just in our neighborhood, and so we had a mini-gelato crawl around our area, sampling the wares at some of the most notable spots. 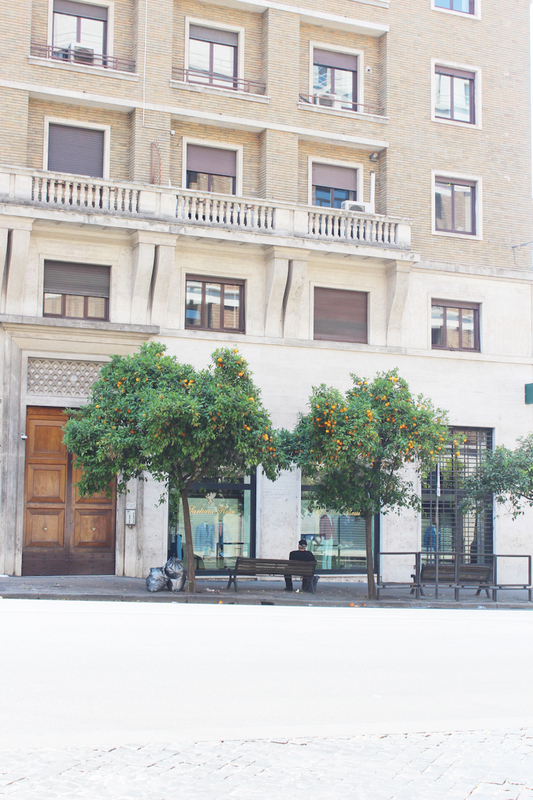 I didn’t use my camera much more after this, but I did have to take a photo of these trees all along this street by our hotel, just casually growing oranges (for the general public??) And that’s all I have on Italy, folks! I’m sad to say that since this trip in late May / early June, I haven’t had a chance to go back to my favorite European country since! Now that I’ve been to Rome once, I am so set on the city and would love to plan a friend trip there in the coming months – I’m sure it’s a destination that sparkles in all seasons, and I am already dying to dig into a big antipasti dinner again! Thanks, and wishing you a wonderful 2018 as well! wow – this is stunning, tour, photos. 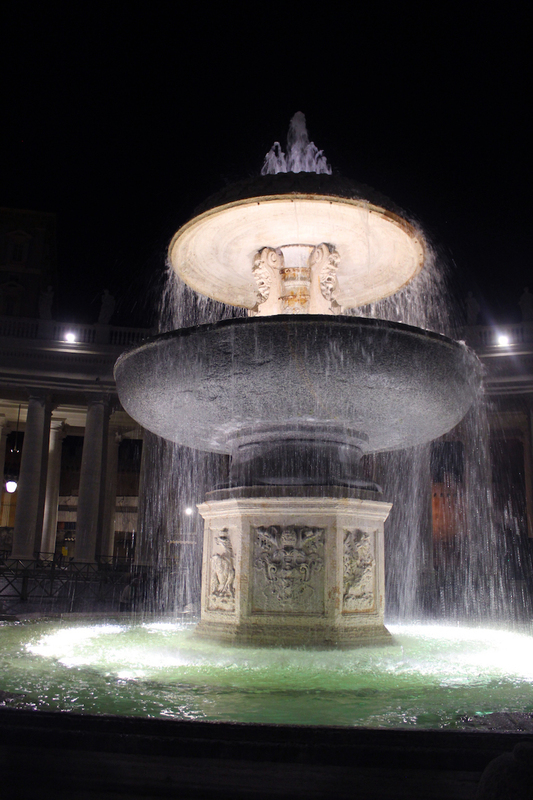 You have such beautiful story, you reminded me when I was visited Rome, Vatican and Milan ….well done! !